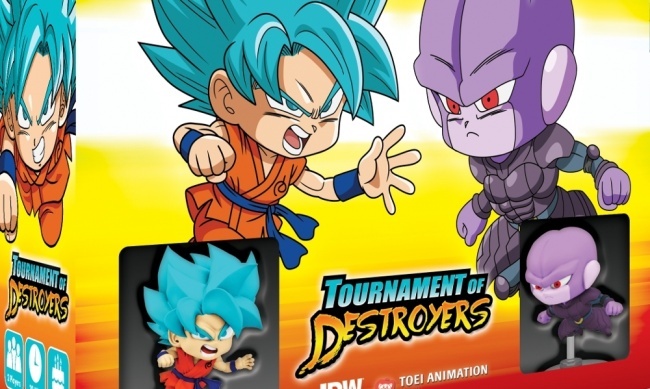 IDW Games will release the two-player combat game Dragon Ball Super: Tournament of Destroyers in June 19. 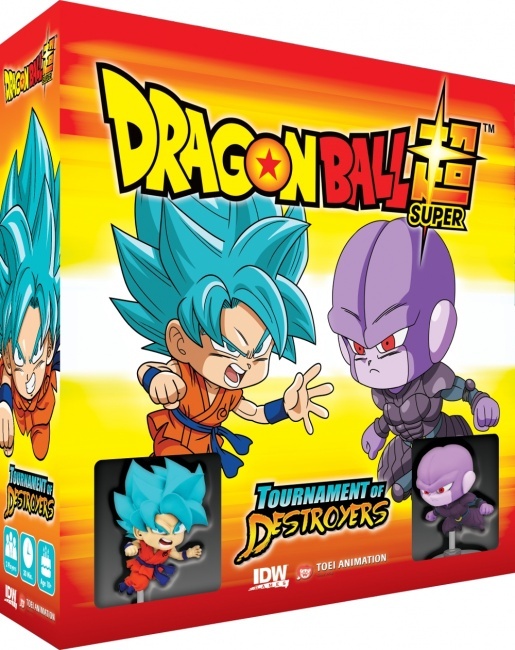 Designed by Sen-Foong Lim and Jessey Wright (The Legend of Korra: Pro-bending Arena), this battle game has players take the roles of Goku and Hit who are battling to save their universes from destruction in the Tournament of Destroyers. Players try to guess their opponent’s next move while building up to their own ultimate combo to knock their opponent out of the ring. But beware, as the battle continues, opponents can grow in strength. The last fighter standing after 3 knock-outs wins. The game comes with two combat-ready 50 mm pre-painted figures. The game is for 2 players, ages 10 and up, and plays in 30 minutes. MSRP is $29.99.